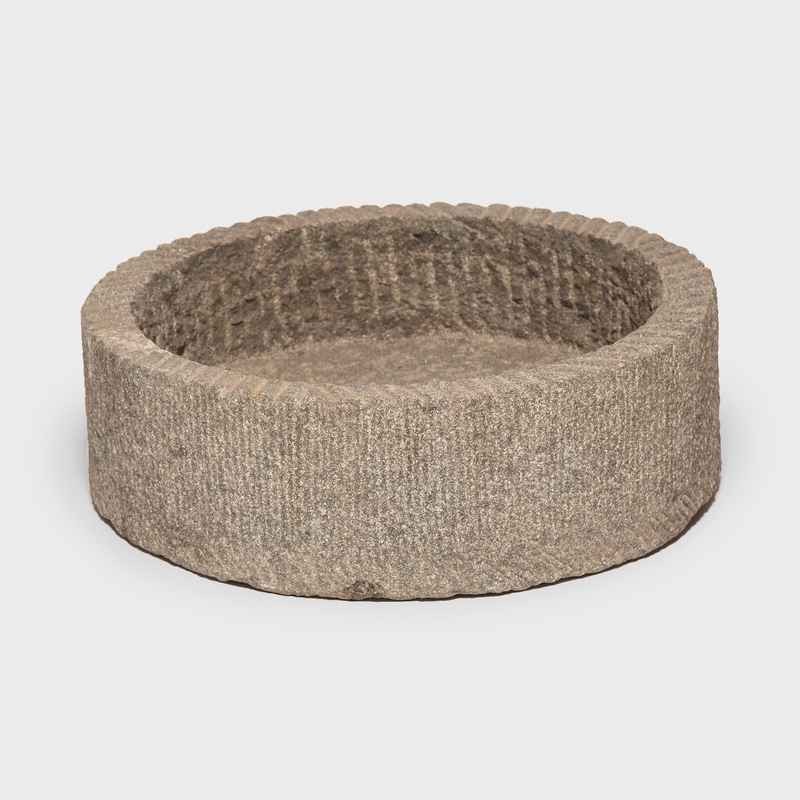 Beautifully textured by a pattern of hand-carved grooves, this early 20th-century millstone was created northern China from a single block of limestone. 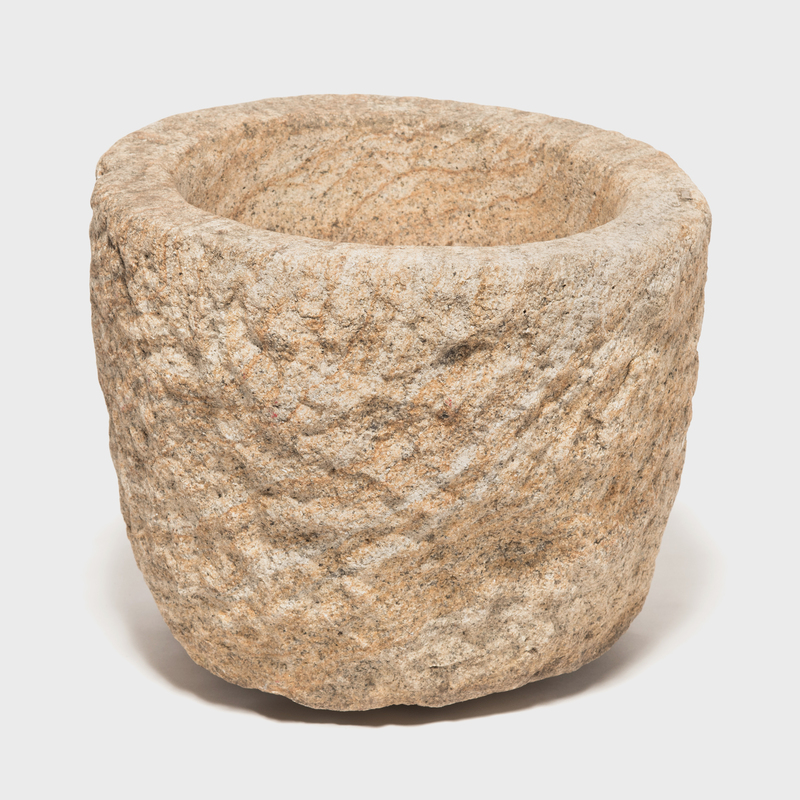 The stone was once used in a gristmill to grind rice and other grains. A testament to its age and use, the millstone shows signs of wear that add wonderful character and recall China's beautiful rice terraces, perpetually enshrouded in layers of mist. 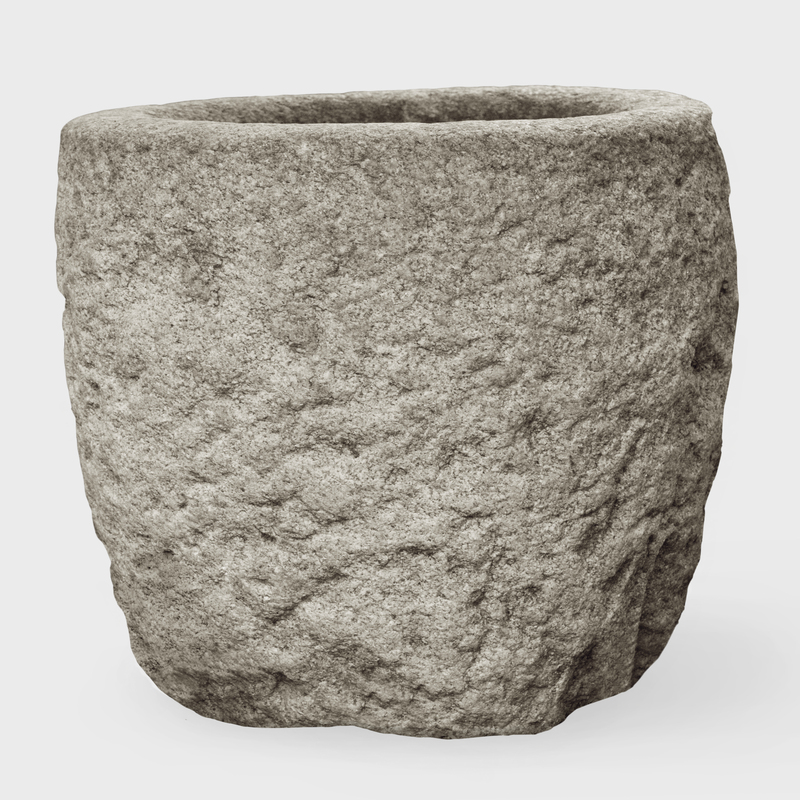 We love this millstone as a low display pedestal or a planter for lush greenery. Each mill stone varies slightly.